When you purchase a software, you have to enter a license key or a registration key. Another method is to activate the software online. In all the cases you have to keep track of these registration or activation keys. You can either write it down in a single file or another way is to keep the CD boxes and covers in a safe place so that when next time you want to reinstall the software, you get them easily. But if you already have installed a software and forget the registration information, how you will get it back? The SterJo Key Finder and ProduKey from NirSoft will help you to recover the software product key by searching the Windows registry. It automatically presents you the product ID or a serial number of the installed software and required registration information like activation key or serial key. A tiny utility from famous NirSoft will do the work. Download ProduKey from here. It will auto list all the installed software and its product/cd key. You can save the list into text or HTML file with one click. If the software you searching for is not listed, you can try the file >> select source option. You can extract the key from network computer also. 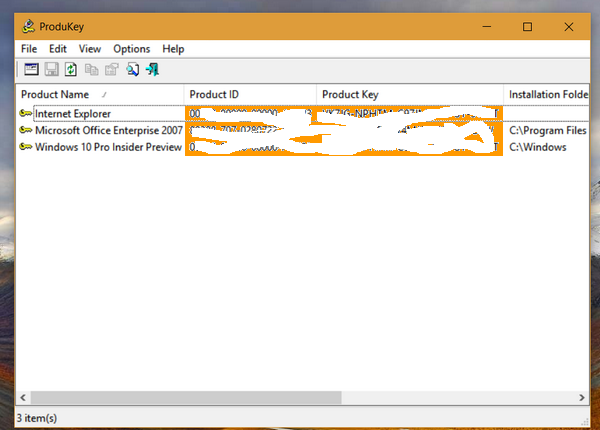 You just have to run the SterJo Key Finder once and it will give information of all the paid software installed on your computer. You can save that information in a text file or you can selectively copy and paste individual keys. It currently supports most of the famous software like Microsoft office, all versions of Windows OS, Microsoft games, other games like FIFA, Need for Speed, counter strike, call of duty, AutoCAD, various Adobe suites and many more. 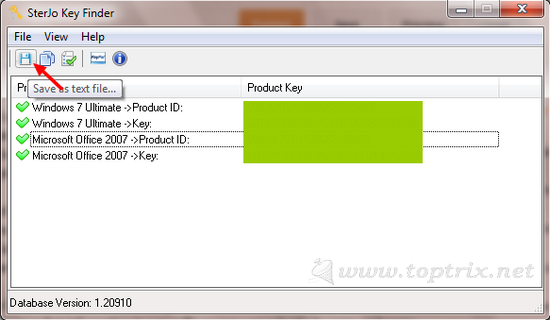 The SterJo Key Finder is very small (only 560 KB), free and easy to use.